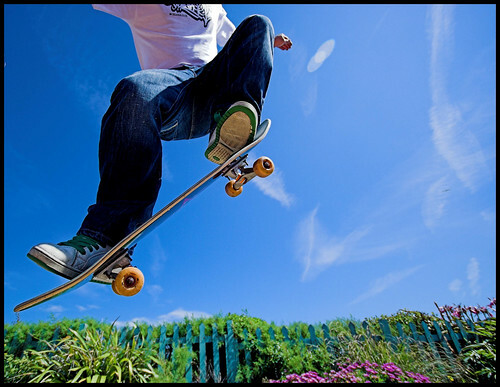 The feeling of skateboarding is something that is only fully understood by skaters. Once it’s hooked you it never leaves you. I haven’t skated properly for over six years but wherever i went I would still see something that made me think “ that’s jumpable” “what’s the run up to those stairs like“ “that’s a lovely surface “. In effect you get ‘skaters eyes’ and that is how you view everything, and I was always amazed that although I was no longer skating I still viewed my world thru the eyes of one. Recently I’ve noticed that my ‘skaters eye’ is slowly being replaced with ‘photographers eye’. I will notice a shadow or a perspective of a building that makes me think ‘ that would make a good shot’. I miss skating but im glad I’ve found photography.